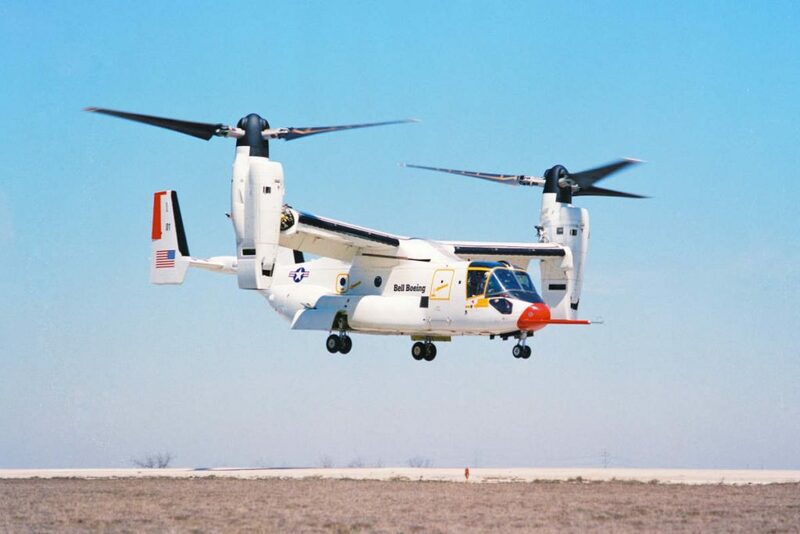 Bell Helicopter on March 19 noted the 30-year anniversary since the V-22 Osprey first flew. The company describes how the tiltrotor aircraft, built by Bell and Boeing, the has fundamentally changed how the U.S. Marine Corps and Air Force operate in combat and support humanitarian operations. The V-22 has become one of the most in-demand and reliable aircraft in military service, explains Bell, with its unique vertical maneuverability combined with the speed, range and fuel efficiency of a fixed-wing airplane. More than 375 V-22 aircraft have accumulated more than 450,000 flight hours across a range of missions. The U.S. Navy is scheduled to begin using a new V-22 variant to deliver personnel and cargo to its aircraft carriers. Major production locations for the V-22 today are in Philadelphia and Amarillo, with Rolls-Royce producing the aircraft’s two engines in its Indianapolis facility. The V-22 has deployed to operations in Afghanistan, Iraq, and Kuwait, and participated in humanitarian operations, including earthquake relief in Haiti and Japan and hurricane response in the United States. The military missions it performs include airborne command and control, airborne fleet logistics, combat search and rescue and special operations support, among others. Bell explains the V-22’s unique tiltrotor design means the aircraft takes off and lands like a helicopter and flies as a propeller-driven aircraft. These characteristics, continues the company, offer the tactical flexibility to deploy with a smaller logistical footprint and without a runway to access areas that are unreachable with any other aircraft.